If there is one thing that we’ve learned here on homify, it’s that style is not necessarily reliant on space. Which means if you’re doing the small-scale living thing, you can still enjoy aesthetic beauty and visual elegance via your choices in colours, materials, and overall look that your house portrays. To help inspire you with some façade ideas (and treat you to beautiful houses, of course), we have gathered 11 small-yet-super-stylish homes that can certainly take on lots of the bigger and more expansive homes out there. These little creations may be tiny, but they certainly pack big punches look- and attitude-wise. See for yourself, and decide which one(s) would be perfect to copy. Doesn’t this small house just present so much style and charm? That sleek-white façade; the toasty warm timber door; a clean and elegant look; and classic lighting fixtures for a charming touch. 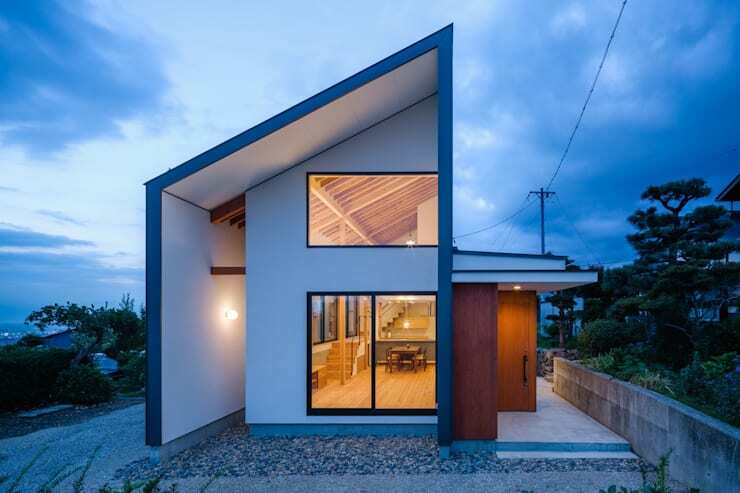 Notice the simple and straightforward appearance of this minimalist-style house – but do not confuse it with ‘dull’ or ‘boring’. 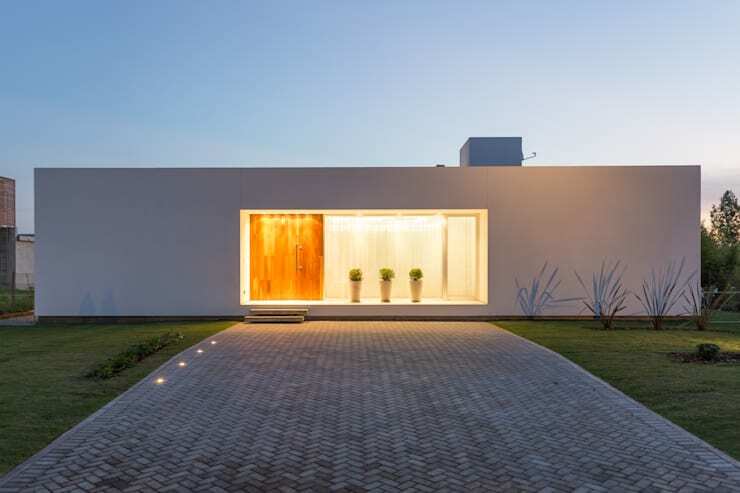 A myriad of clean lines, right angles, and a simplistic elegance are no doubt this structure’s strong features, successfully avoiding an overly embellished look. Our next example is pure proof that small and tiny can be so enchanting. 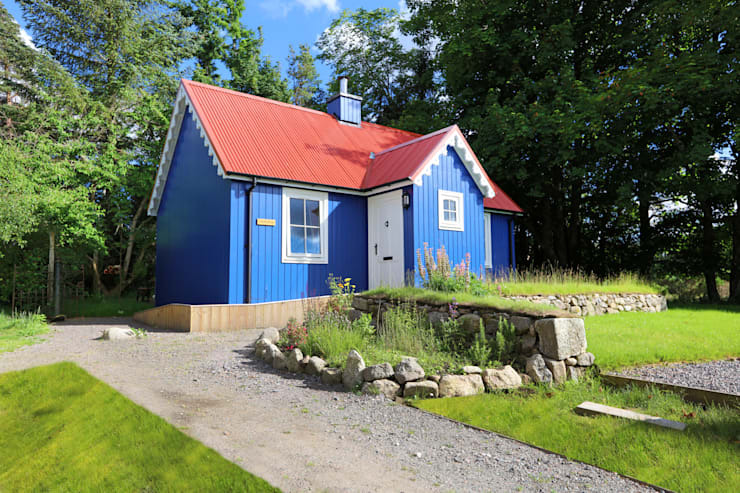 This fairytale cottage might not appeal to everyone, but we are certain that numerous individuals would give just about anything to call this sophisticated little structure “home”. This little suburban creation shows us how powerful the monochrome look can be – notice how striking the light creams and dark charcoal tones offset one another. But our favourite piece here has to be those little garden patches, neatly framing the front walkway while adding a touch of greenery to the façade. 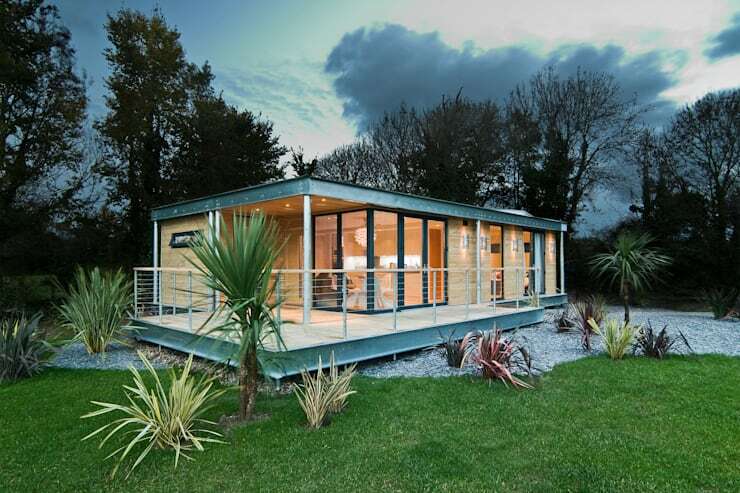 From expert gardeners to landscape architects, we have them all here on homify, and much more. Check out our professionals page. 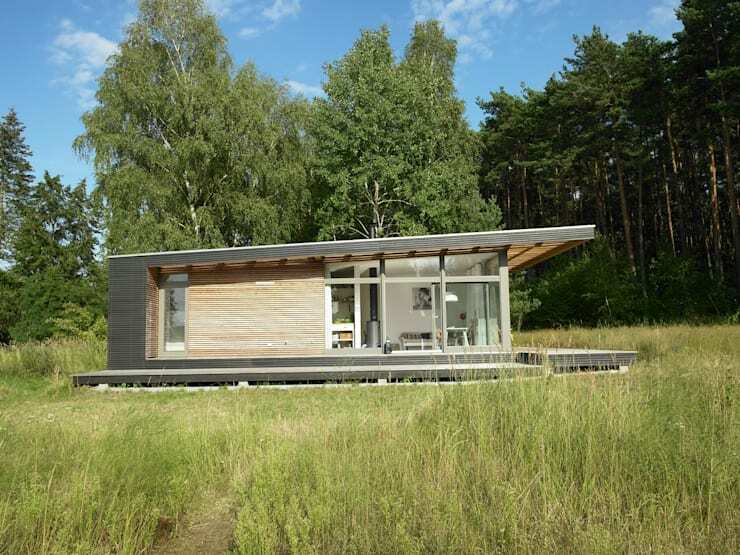 This modern modular home flaunts a steely look that is just so eye-catching. In addition, it presents a very open and inviting look via the array of windows and glass doors allowing us a sneak peek into the interiors. And what a bonus: there is even enough room for a spacious little patio in the front, offering a charming spot for us to have a comfy sit-down and enjoy some fresh air. Isn’t it curious how “small” can also be “spacious”? 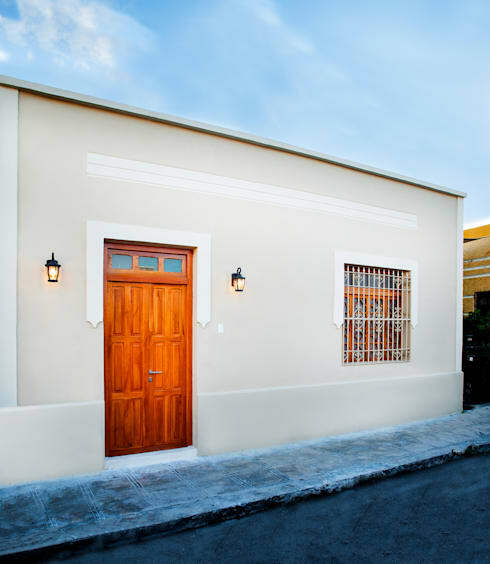 This little cottage with its charming façade may seem like a single-storey home, but is in fact a double-floor house. The overall style of the structure is cosy and inviting, while being friendly and familiar too. The use of neutral colours such as beige and white create an authentic effect of comfort and style. Would you consider this for your own home? From old-school charm to tomorrow’s style, our next little house flaunts a somewhat futuristic vision. With its remarkable shape and contemporary look, it ensures a striking presence that will no doubt have lovers of the modern design sitting up to take note. Never underestimate the power of colour, especially when opting through tones for your house’s exterior façade. 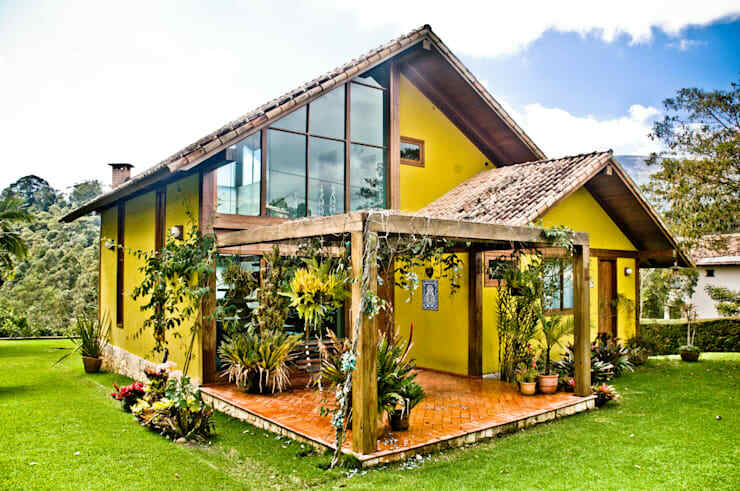 This beautiful home is decked out in a bright, sunshine yellow tone, with an abundance of fresh flowers and lush plants to complement its picturesque look. Apart from the bright exteriors, the architects have also opted for a large patio and generous windows that provide a firm link between the exteriors and interior spaces. 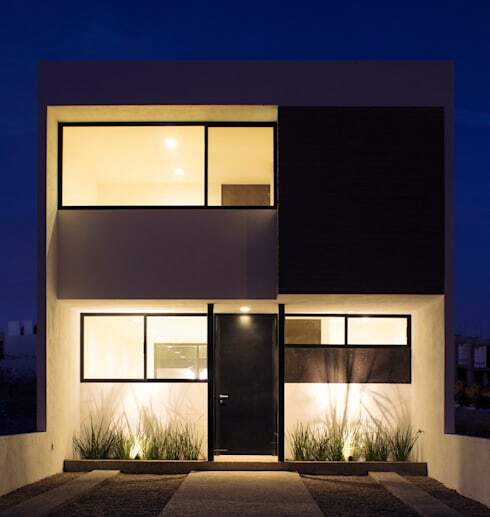 Appearing at first like a large rectangular box that is lit from the inside, the exterior look of this home presents us with a taste of both the modern and the futuristic. Luminous and delightful, with lawn on both sides of the driveway for balance, it blends the natural landscape with the man-made structure quite perfectly. Characterised by straight and simple lines, as well as open spaces, this little house is a definitive contrast with the lush landscape surrounding it. Thin horizontal timber strips make up the façade, while the slightly sloping roof is edged with charcoal planks. And those generous windows do so much more than ensure a pretty view: they are energy efficient alterations that help to keep the interior spaces cool – perfect for a hot summer! Doesn’t this look like the ideal little forest cabin for those weekend getaways? We close off our list with an abode for the devout followers of the country style. This little cottage seems to come straight from a Grimm’s fairytale with its charming structure and bright colours, and then we’re not even mentioning the dense forest in the background. What a perfect little vision for those of us who like to live far removed from the big city’s hustle and bustle. To keep those lighting levels perfect, take a look at these: Outdoor lighting ideas for modern houses. 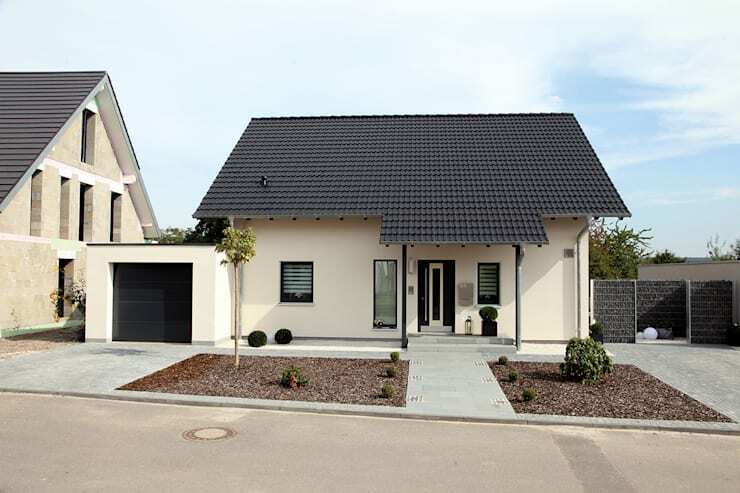 Which of these houses would be perfect for you?